The Motorola Moto M has quickly eaten up the competition among the budget mid-range smartphones. Launched in November 26, it was too early to run Android Nougat on it but not to worry that it will get the Android 7.0 update officially. 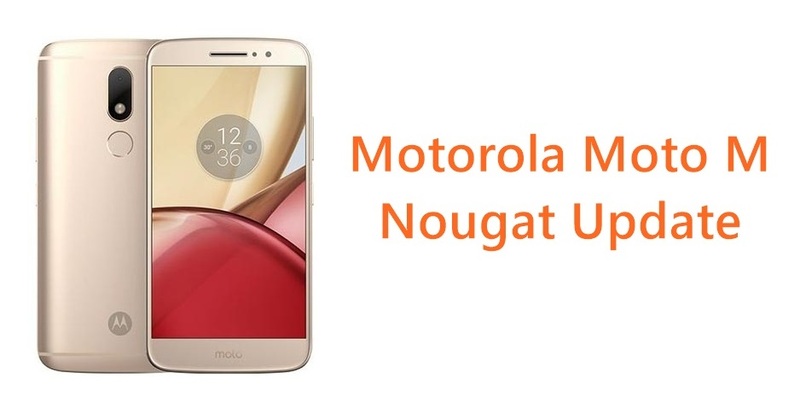 Checkout Motorola Moto M Nougat update roll-out details, update availability details here. Currently running on Android 6.0.1 Marshmallow, the Moto M is bound to get the official Android 7.0 update. Apart from it, there are other Moto phone also qualifying for this Nougat build. Whether it will see the Android 7.0.1 update or directly get the Android 7.1.1 OTA, is not known yet. The Motorola India official Twitter account confirmed the Moto M Android 7.0 update availability. The phone is out there, and the nougat update will be out soon. For Lenovo to carry out the Android Nougat update for Moto M, it will be very easy process because Moto phones almost maintains stock like Android version. Qualifying for the Android 7.0 Nougat update is one of the main reason why you should buy Motorola Moto M phone. As of December 14, 2016, the date when I wrote this post first, only we have limited number of smartphones running on Android 7.0. The LG V20 happens to be the first phone with Android Nougat out of box and then came the Google Pixel and Pixel XL smartphones. Do checkout our collection of Best Android Nougat phones, which also includes the devices which has got this update via software update recently. The Android 7.0 Nougat update roll-out to Moto M smartphone via happen via Over the Air download. You will also receive an update notification on your device, saying that the updates are available. It will also mention all the details like the update size, features included and what all you should do in order to update your phone successfully. You just have to follow the on-screen instructions to complete the process of Moto M Android 7.0 update. So, are you waiting for the Moto M get the Android 7.0 Nougat update?